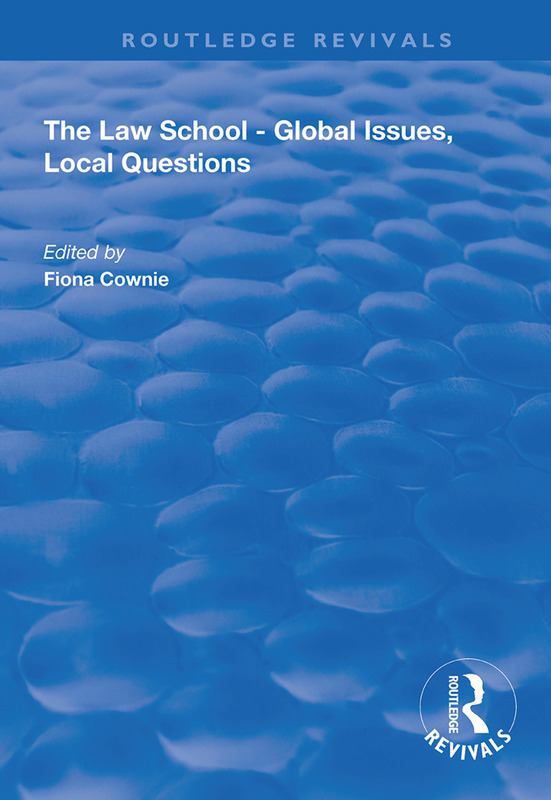 First published in 1999, this international collection of essays on legal education addresses the following issues: The Law School and the University. Research into legal education has often been regarded as a marginal activity as compared with research into substantive areas of law. However, recent years have seen a growing interest in discussions about the purpose of the university law school and the ways in which law is taught within it. Are we educating professional lawyers or legal scholars? What do we really mean when we say we want to offer ‘a liberal education in the law’? What effect are the current changes in higher education funding and policy having on law schools and what takes place within them? The international group of scholars who have contributed to this collection come from very different jurisdictions, but they have written about topics which, while they have local resonances, are of concern globally. Global Issues, Local Questions addresses matters which concern all law teachers, whatever their field of substantive legal expertise.